Uniquely constructed with various frames and media. EMCEL Dustraps can be produced as cleanable or disposable in a wide range of shapes, sizes and efficiencies. Construction consists of an aluminium, steel or plastic frame enclosing appropriate filter media. 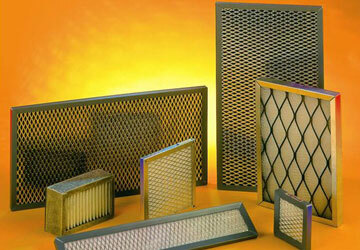 These high quality filters are widely used in miniature format where space restrictions apply. In addition EMCEL has an approved Dustrap design for RFI applications, please click here for details.